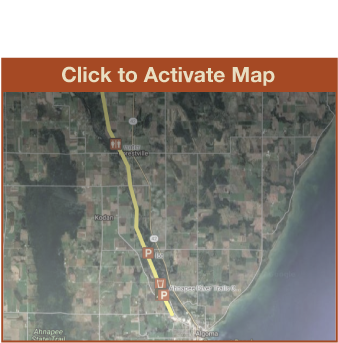 The Forestville Segment of the Ice Age National Trail covers 9.8 miles between the Sturgeon Bay Segment and the Kewaunee Segment. 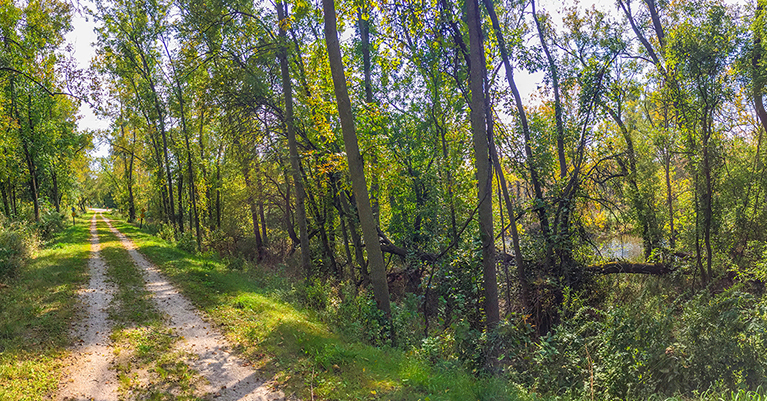 The trail is very easy; paved with crushed stone and flat. 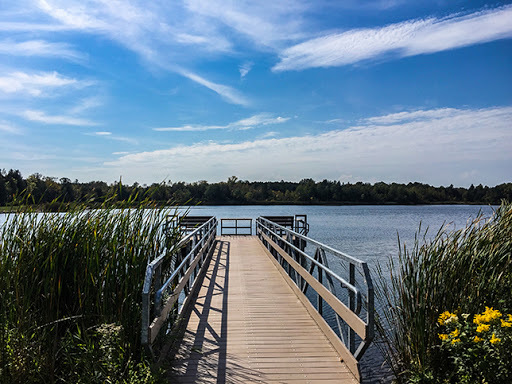 The trail segment follows the Ahnapee State Trail - a Rails to Trails bicycle trail. Through hikers will find camping along the trail and lodging in Algoma. I never would have seen this quiet part of Door County if it had not been for the Ice Age Trail. I began the Forestville Segment at the Forestville Dam County Park. 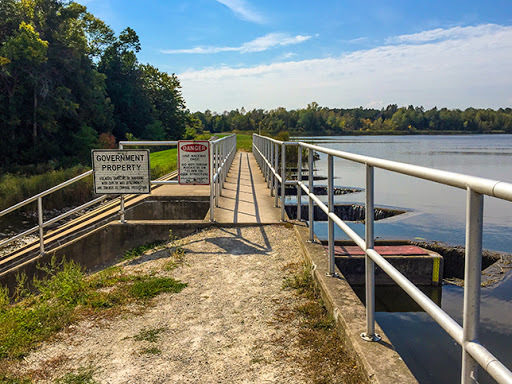 The flowage behind the dam makes for a beautiful lake-like setting that is suitable for boating or paddling. You can walk across the dam to view the serene Ahnapee River. 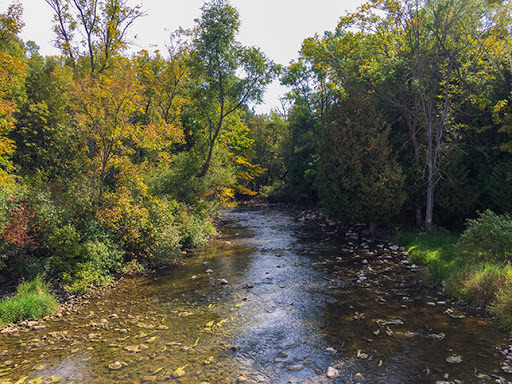 The trail follows the Ahnapee from Forestville into Algoma - crossing the river once at a newly constructed wood decked bridge. 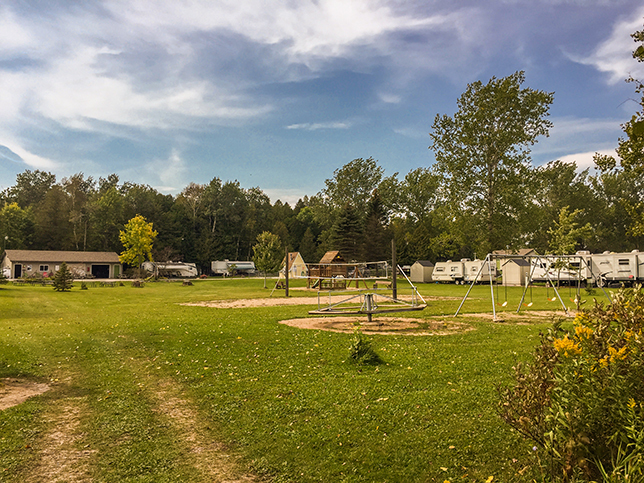 Two campgrounds greet riders and hikers on the trail as they enter Algoma. You can arrange for boating and kayak rentals at Ahnapee River Trails campground. Both campgrounds are tent friendly for long distance hikers. 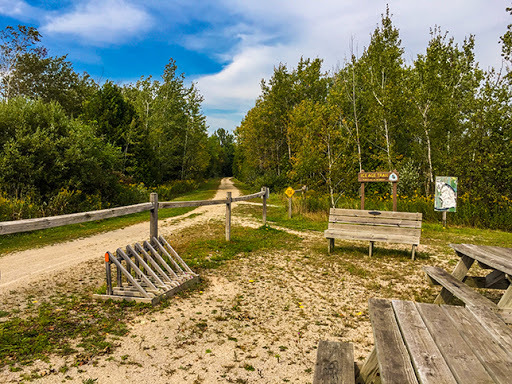 The Ahnapee State Trail sits on the former bed of the A&W Railroad - The Ahanpee and Western which connected Green Bay, Kewaunee, Sturgeon Bay, and other villages along its route. During World War II the route became famous for transporting German POW's to pick cherries and apples at orchards in Door County.